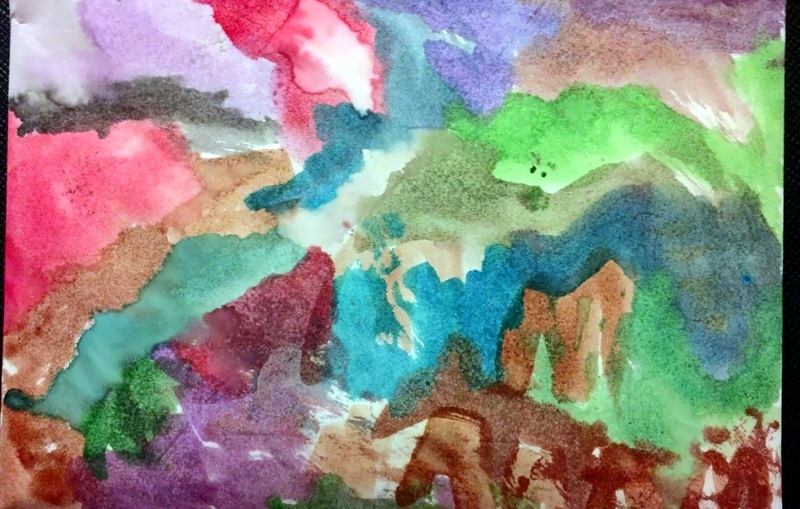 This is a lovely watercolor painted by my son. Note the deer grazing peacefully in the foreground. Never mind all that other stuff, just focus on the deer. Feel better? Sunday is supposed to be a day of rest. Work is supposed to stop, and everyone is expected to pause, reflect. Stores were closed, businesses were shuttered. After all, the Lord rested on the seventh day, and we good Christians are supposed to follow that example. I can remember Sundays when I slept in, remained in my pajamas, sat around on the couch and watched football all day long. Except that I don't know a single person who actually "rests" on Sundays anymore. There's too much to keep track of these days, and often the only thing we don't do is rest. We're expected to rush through the mornings to get everyone dressed and off to church. After church comes a family dinner, and then...anything but resting. What is it all for? Would the world end if we just stopped for one day? Studies have shown that pausing to rest, nap, meditate, whatever, increases productivity. Other countries at least have siestas or other breaks where they pause and regenerate their energy. But not America. Why not? Church shouldn't be a chore, and neither should taking a moment to relax. So many of us feel guilty when we aren't doing what we think others think we should; let's stop that. Today, take five, or thirty, or even the afternoon. Sit on the couch or in your comfy chair. Read a book or watch your favorite movie or close your eyes and doze off. That picture is SO COOL! It took me a long time to realise that doing 'nothing' is actually doing 'something' ie relaxing!! Maybe I'm just justifying a naturally lazy disposition, but I'm sure my life is all the richer for it!! Hope you don't give in and actually DO stuff this Sunday!! That is a lovely watercolor, you should frame it. One thing about retirement everyday is a little like Sunday....I now nap almost every day....mostly in my chair or on the couch... I don't dare lay down in bed or I get too much of a nap.